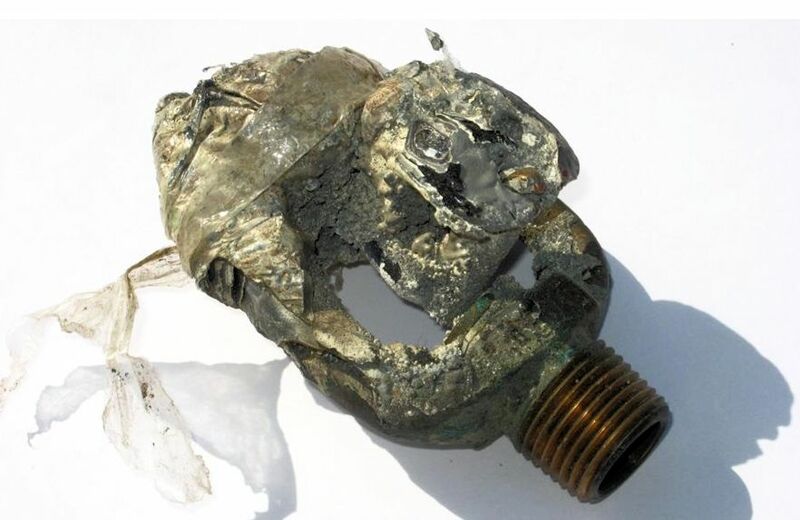 Why did this sprinkler head fail to operate in a fire? I will be presenting, “Potential Fire Protection Failures” at the Philadelphia Chapter of American Society of Safety Engineers’ luncheon meeting on April 16, 2015 at the Parx Casino East (Philadelphia Park Racetrack Building), 2999 Street Road, Bensalem, PA. The pictured sprinkler head was in an actual fire. Unfortunately, it failed to operate. Why did this sprinkler head fail? What could have been done differently? How could an effective Inspection, Testing, and Maintenance program have prevented this failure? Fire protection systems have a stellar performance record. Fire sprinklers are effective in 97% of fires in which they operate. What causes failure in the other 3%? See some of the factors which can compromise fire protection systems. The main focus of the topic is to show various parts of a fire protection system and explain why and how they may impact the proper operation of the system. The issues identified in the presentation are typically found in many industries and can be applied to the self inspection program at any facility. The talk will include examples of fire protection items which may be compromised. These items could be detected and identified by a well organized fire protection self inspection program. On April 16 I will describe the events leading up to the fire this sprinkler head was to have controlled, why it the sprinkler head failed to operate, and the aftermath of the fire. I think you will be interested in what happened. Additional details may be found at phila.asse.org. This entry was posted on Tuesday, April 7th, 2015 at 1:58 pm and is filed under Uncategorized. You can follow any responses to this entry through the RSS 2.0 feed. You can leave a response, or trackback from your own site.